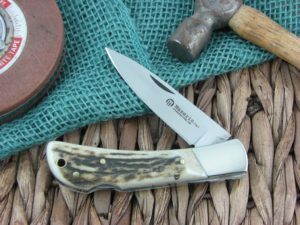 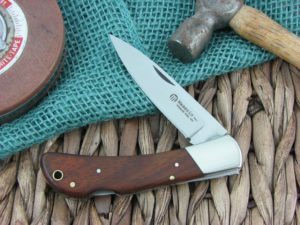 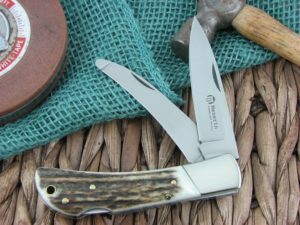 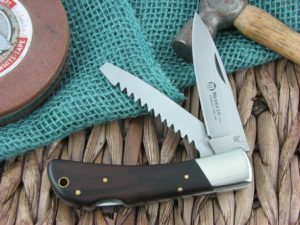 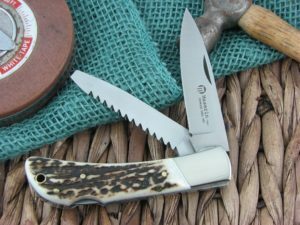 The Maserin Hunter 126 series comes in several variations that will be a welcomed relief for hunters in today’s market where traditional skinning and hunting blades are fading into history. 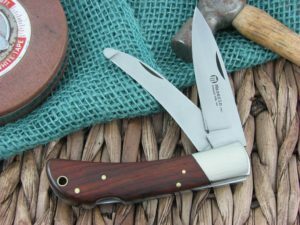 These knives come in one, two, and three blade models will varying setups. 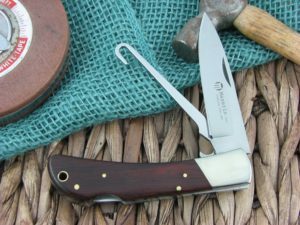 This Maserin traditional hunter series is being offered as an economy line that compares favorably to Buck. 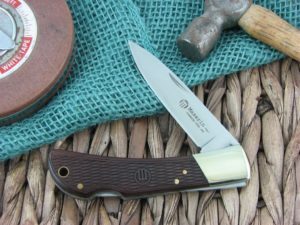 There will be slight cosmetic issues here and there, but the series comes at a great value. 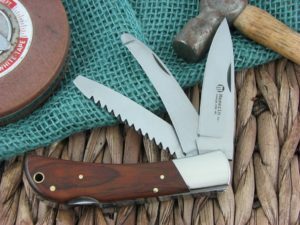 Also, these are 440C with a great heat treat. 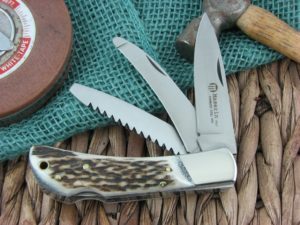 The honing is a bit toothy, but these things are razor sharp.